Afropop Worldwide | Afropop Exclusive: New Tal National Track, Album and Tour! Afropop Exclusive: New Tal National Track, Album and Tour! 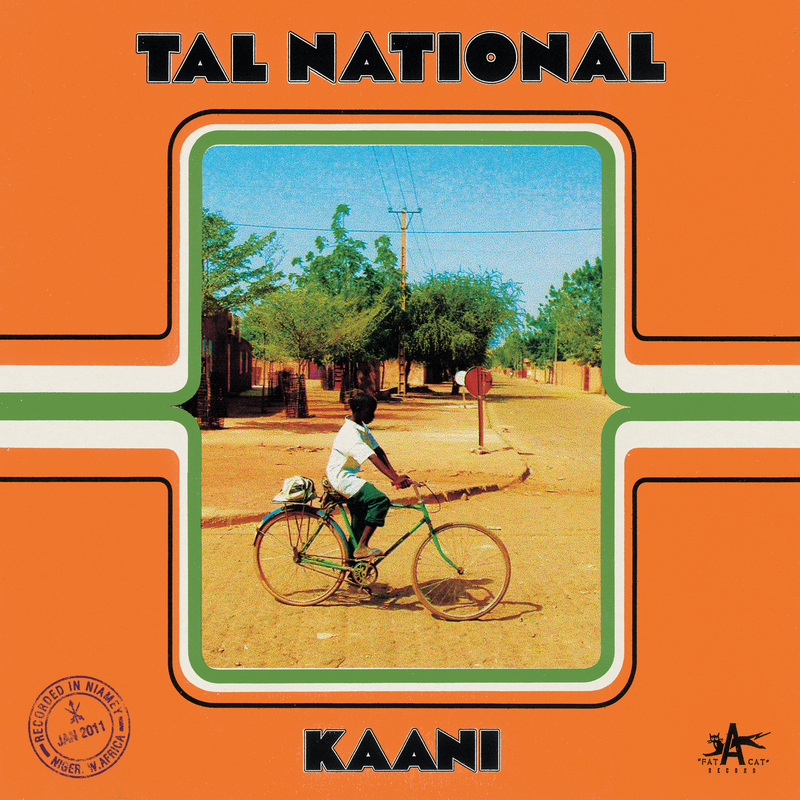 Tal National has a new album coming out September 10th on Fat Cat Records, and to celebrate, we are happy to have the official debut of the album's title track, Kaani. Tal National is easily one of the strongest groups that we've heard in a while. The band plays from 9 pm to 2 am five nights a week. They literally have a band of understudy musicians on call at each show so they can seamlessly swap players in and out throughout the course of a single set. The last pressing of their latest record sold out in just over a day. They’ve been called the biggest contemporary band in Niger. “Kaani” lives up to the hype. The track is an outstanding mélange of many of the different sounds happening in the region. A short and sweet duet between a talking drum and an electric guitar pulled from the very same desert styles that gave us Tinariwen and Bombino opens the song, then quickly gives way to a series of mind-bending drum set and guitar section flourishes. From there, the band is off, utilizing a much more muscular update to Fela’s style of arrangement to fit those sandy guitars atop that beat. Speaking of which, that beat! It sounds like it started off as a fairly traditional Nigerian or Malian beat, but someone turned the complexity knob up to 11, lacing hints of Soukous style subdivision and Sabar drum-level intricacies on top. And that’s just one section of the song. Where “Kaani” really goes crazy is in the variety it offers. At not much shy of eight minutes, the band takes advantage of every opportunity the song affords them to switch it up. Do you hear how they completely break it down and drag it around near the three minute mark? Little digressions like that crop up with some regularity throughout the song, but Tal National always bring it back to that breakneck beat and the rich weave of those guitars. And to top it off, there are some great gang vocals riding over the top. “Kaani” the song has us pretty excited for Kaani the album. It’s out September 10th via Fat Cat records, so you won’t have to wait too long. Best of all, Tal National is coming to North America for an extensive tour right after the record drops (we've got a full list of date below). Check back in with Afropop for more on Tal National.